Home World Is Crowdfunding Safe? Yes, it is safe. However, one must always be careful before beginning. 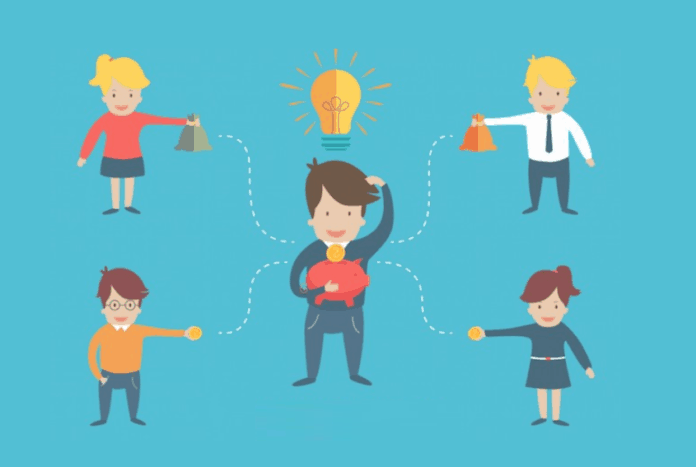 Crowdfunding is the practice of raising funds to invest for a scheme or a project by collecting capital from large number of people but in very small amounts. It is mostly done by collecting money from friends, families or family members, customers and now through internet as well. There are crowdfunding websites that assert to provide a platform for small businesses, artists, and investors giving them an opportunity to prove their abilities by raising funds for their activities. The idea has been very popular, but sometimes cybersecurity should be the top concern for users of such websites because of the involved transactions. If you are looking to do crowdfunding for any of your projects, you must also learn about its security and the risks it may involve. To make sure, that you have landed to a safe crowdfunding website, look for the SSL connection. SSL is Secure Sockets Layer that can be identified by a little locks with the website URL. And these secure websites always start with “http”. So, before sharing your personal information like name or credit card number, do look for lock and https. Before making donations, also check for a guarantee policy on the website and read thoroughly the guarantees they offer. Providing a guarantee policy on the website is also a way to ensure security for the users and donors. Ways of our shopping have changed with the online selling websites. Shopping online is easier and sometimes cheaper and requires us to fill out our debit cards and credit cards details. The process of making transactions through credit cards has been secured by PCI compliance that provides a security standards to ensure safety of the user’s personal information. PCI has many levels of certifications. Only two platforms, Facebook and GoFundMe, have the Level 1 certification. The crowdfunding greatly relies on trust because it includes the people you know and are close to you. So some crowdfunding companies have dedicated their teams to ensure security and safety of the private details you share and the donations you make. These platforms are Trust and Safety departments who have taken the responsibility of keeping the technological ways of fund raising safe for people. They work with small money laundering tracking organizations as well as large law enforcement organizations to make sure that people are safe. As not all companies have the sources to afford Trust and Safety department, we suggest to make your donations through GoFundMe, Facebook and YouCaring. It is a major concern for donors: what if the money gets into wrong hands? If you want to make a donation, make sure that the beneficiary (the person or organization you are donating for) is directly connected to the platform through which you are donating. Staying directly connected to the beneficiary is a way to ensure that money has gone to the right person. So, crowdfunding is both safe and risky, however, with a few precautions, it can be done securely.